Aldo Tambellini, painter, sculptor, photographer, video artist, film-maker and poet was born in Syracuse, New York in 1930. A few months after his birth his family moved to Italy where he attended the Art Institute A. Passaglia. One year after the end of World War II, marked by the tragic experience, Tambellini returned to the United States. Awarded a full Art Scholarship at Syracuse University, BFA in Painting, 1954 and a Teaching Fellowship at the University of Notre Dame, MFA in Sculpture, 1958. Tambellini abandoned his academic career of research (since 1954 is a researcher and assistant to Ivan Mestrovic at Syracuse University) and moved in 1959 to the Lower East Side. Here he founded the underground, “counter-culture” group, Group Center which organized public art events and non-traditional alternative ways to present artists’ work to the community, and other activities to raise the political and artistic consciousness of the public. In 1964 Group Center held probably the first Loft Show in what is now SOHO in NYC. 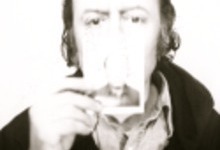 Aldo Tambellini is a pioneer in broadcasting and experimental media for self-expression as form of sensory communication, this research materializes in the Mixed Media installations and Intermedia Events that since the Sixties he organizes in the spaces of the Lower East Side. In 1965 he began painting directly on film beginning his Black Film Series of which, Black TV won the International Grand Prix, Oberhausen Film Festival, 1969 - now in the Collection of the Museum of Modern Art. 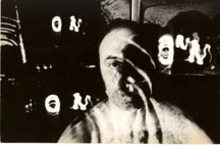 Simultaneously, began a series of Electromedia Performances: Black, a work in progress, organically brought together projected paintings, film, video, poetry, light, dance, sound and improvisational musicians, culminating with Black Zero at the Brooklyn Academy of Music in “Intermedia ’68”. Concurrently performative experience, he establishing the first experimental theater in the East End: the Tambellini's Gate, which is imposed in NYC as an important cultural center where for more than two years have been presented avant-garde film. 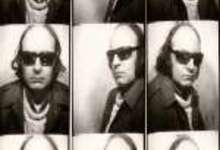 Following this experience, in 1966, he founded the Gate Theatre in the Lower East Side, showing avant-garde and independent films daily and the next year, he co-founded with Otto Piene, the Black Gate, the 1st space in NYC for live multi-media (Electromedia) performances and installations. Aldo and Otto Piene created at WDR, Cologne, Germany, the 1st international television broadcast by artists, Black Gate Cologne in 1968. 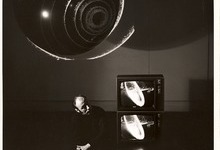 The following year he achieve at WGBH in Boston (along with Allan Kaprow, Nam June Paik, Thomas Tadlock, James Seawright, and Otto Piene) transmitting collective The Medium Is the Medium, Black, videotape which includes one thousand slides, seven 16mm projectors, thirty children and three television cameras that record the interaction between sound and image. Tambellini's vision expands to the full implications of contemporary media, seizing in the moment of their arrival the potential that they have as a linguistic, artistic and social tools. Television, film, sound, light, are explored in the interactions that they have between them and relationships they have with the man. During the years the author has presented many innovative performances through his works: an example of all are the Electromedia Events in which the interaction is open to involve all the senses. The artist's work reflects mainly the impact of new media and their involvement in society and education, his interest in this regard has also extended to teaching, writing, poetry. The dynamics of production of his works are effect of the total absorption of the vibrations of contemporary social environment. 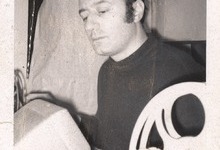 From 1976 to 1984, Aldo Tambellini was Fellow at the Center for Advanced Visual Studies at the Massachusetts Institute of Technology. While at CAVS, he collaborated in many projects and participated in the International Sky Art Conferences and the Sao Paolo Biennale in 1983, remaining in Brazil almost a year. 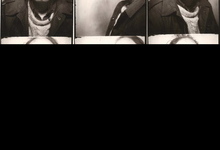 He was the exchange artist to Paris for the interactive media project Interface, Paris American Center for Artists and CAVS MIT, 1981. With the concept of Communicationsphere he organized a series of international, interactive, communication projects leading to the wave of social networking, in some way a precursor of the internet. As a poet, he is widely published - performing in countless public readings. He produced an anti-war digital film with his poetry, Listen, in 2005. This film won First Place in the “Short Experimental Film by an Independent Filmmaker” at the New England Film Festival in 2005 and at the Syracuse International Film Festival in 2006. In 2007 Aldo was awarded the Lifetime Achievement Award from Syracuse University at the Syracuse International Film Festival (2007). The same year he received the Keys to the City of Cambridge from Mayor Ken Reeves in recognition of his contribution to the cultural environment of the City. 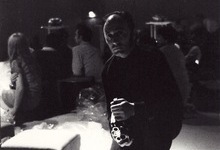 In November 2009 he was invited to present at PERFORMA O9 (NYC) a re-staging in its original form of electromedia live performance Black Zero (1965-1968).